Mahogany Bay Resort and Beach Club held a ribbon-cutting ceremony to officially declare the resort open on Wednesday, December 6th. Attending the inauguration ceremony were Minister of Tourism and Civil Aviation, Hon. 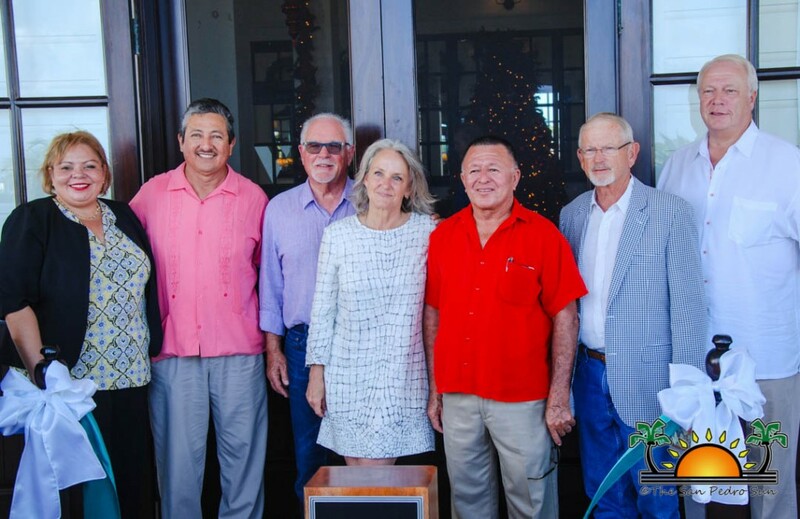 Manuel Heredia, San Pedro Town Council Mayor, Daniel Guerrero, Minister of State in the Ministry of Investment, Trade, and Commerce, Hon. 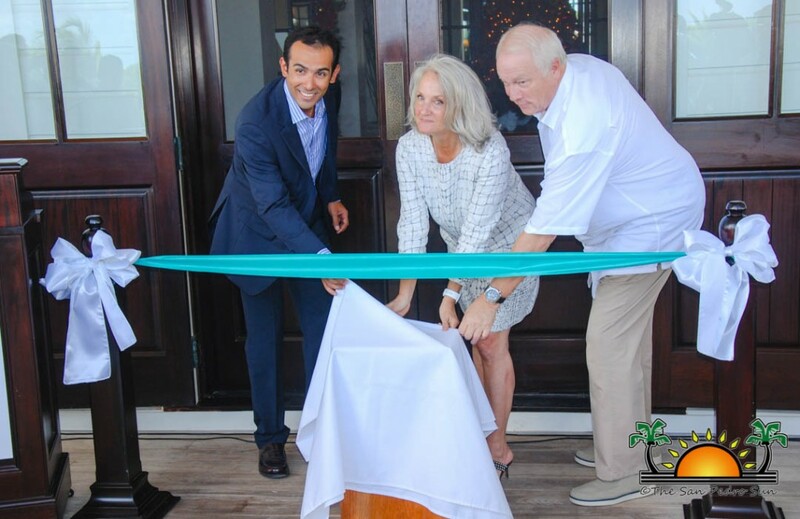 Tracy Panton, Director of Brand performance and Full-Service Hotels of Latin America & Caribbean Hilton Hotels, Juan Arboleda, CEO and Developer of Mahogany Bay Village, Beth Clifford, the media and invited guests. The ceremony started at 11AM with the singing of the national anthem, followed by a short prayer delivered by Clive Welsh. 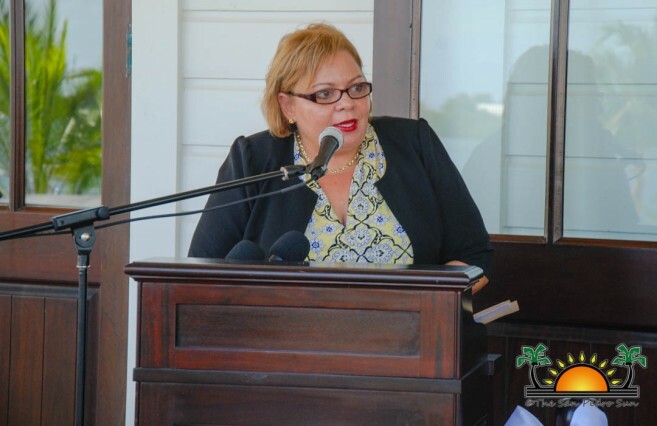 Mistress of Ceremony Tanya Mcnab then welcomed everyone to the event and inviting Hon. Heredia to the podium to deliver the welcome address. 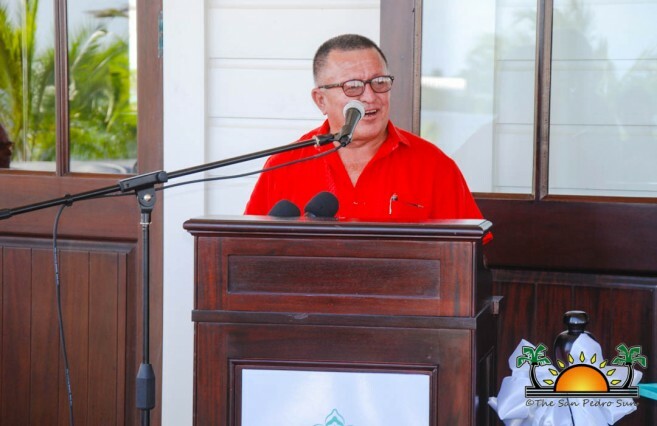 “Today is a historic day for Isla Bonita as we officially inaugurate the first name brand hotel on the island. I was always there showing my support from the beginning because I knew this would have a positive impact on La Isla Bonita. 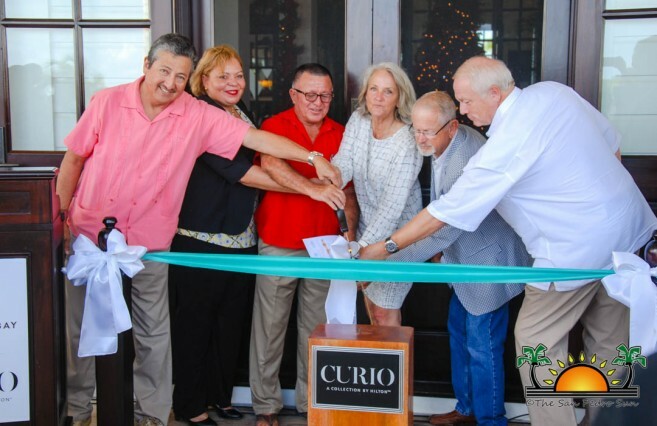 The tourism industry is about working together and complimenting one another to ensure its success,” said Heredia. 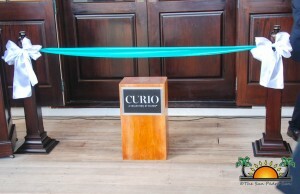 He ended by thanking Clifford and Arboleda for choosing Ambergris Caye to open their hotel. Hon. 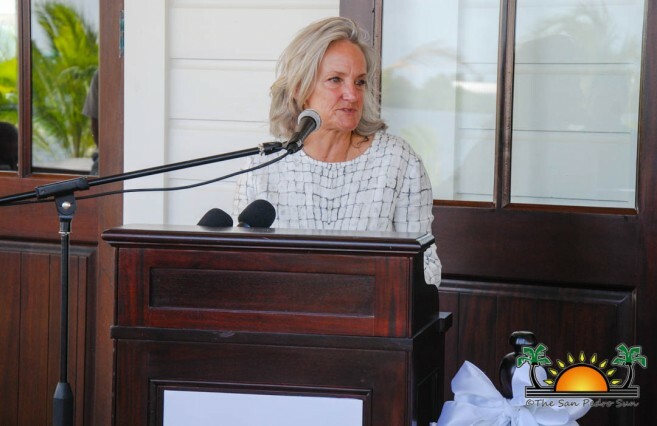 Panton was then invited to the podium where she shared her appreciation towards the founders of the resort says, “I’m excited, as today we mark a milestone achievement for our beautiful country of Belize. This speaks volumes about what is possible when people come together and work hard. 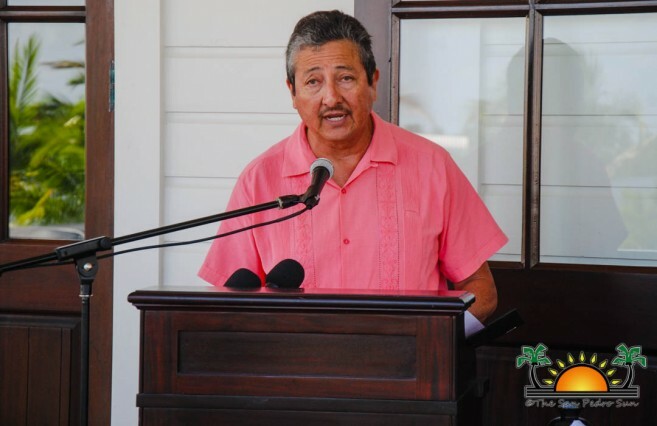 All I can say is thank you for believing in Belize.” Thereafter, Mayor Guerrero had the privilege of sharing a couple words as well. 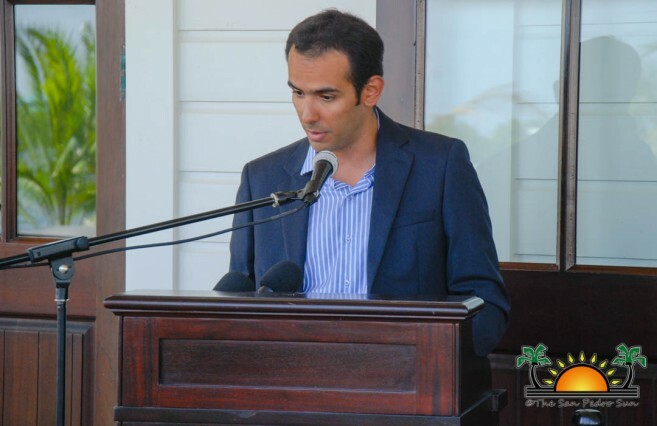 “Despite many investments in our island, there are always a lot of unemployed people because of job shortages. That’s why I always welcome new investments and will continue to do so. 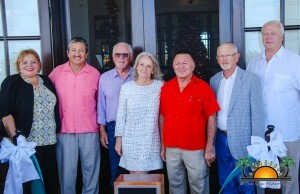 It is my hopes that it will impact the community of San Pedro in a great way,” said Guerrero. Mistress of Ceremony Mcnab continued by inviting Arboleda to give the keynote address. He shared his excitement as Hilton accomplishes another goal. 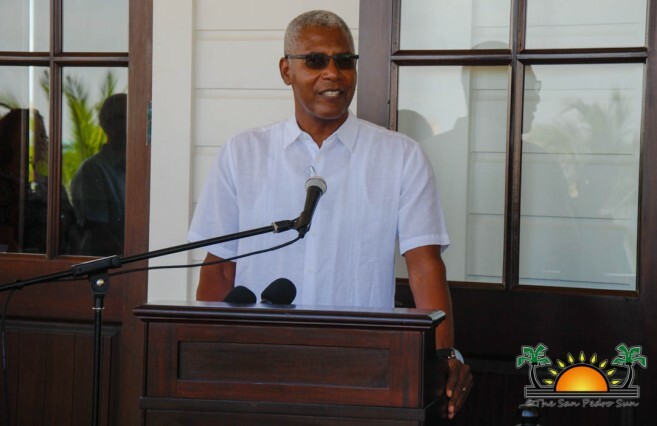 “Today we inaugurate Belize’s first world-class hotel by Hilton, and I’m thankful for the county of Belize for allowing us to venture into their territory. 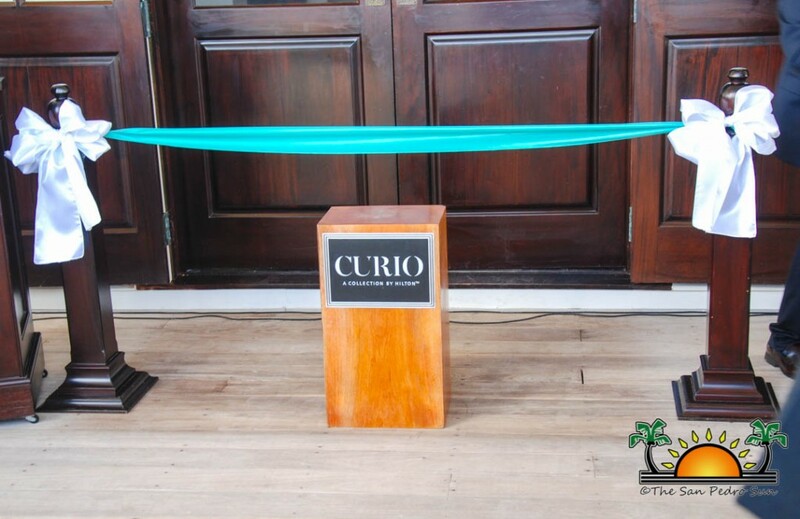 Hilton Hotels provides world-class service while impacting the various societies in a positive way, “said Arboleda. 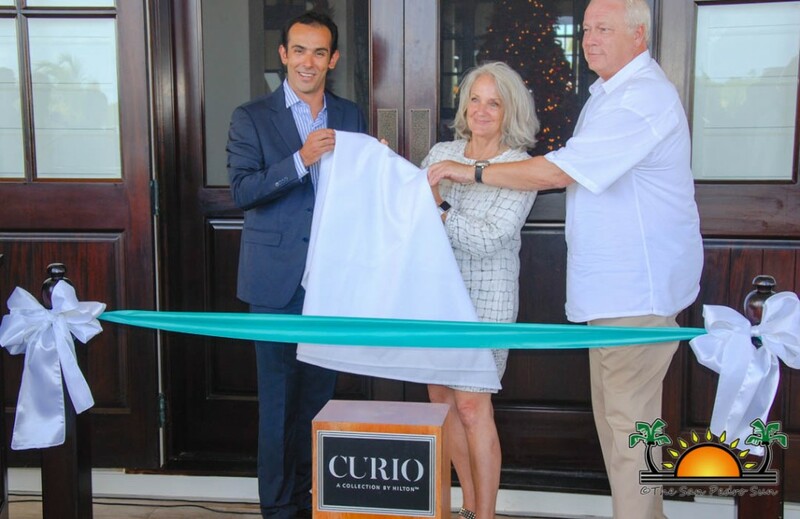 After his speech, he presented CEO and Developer of Mahogany Bay Village Beth Clifford with an official membership plaque from the Curio Collection by Hilton. Mahogany Bay Resort & Beach Club, located south of San Pedro Town, features 205 cottage and villa-style rooms across a 60-acre waterfront site with 10 distinct dining outlets, bay and beach clubs, and meeting and event spaces. Included is the Bay Club with a grand pool, bar and poolside spa treatments and the private white Sand Beach. At the heart of the hotel’s social scene is the 22,000-square-foot Great House, featuring a signature restaurant and bar, flexible event space and a multi-level covered wrap-around veranda. Golf carts and electric and pedal bikes are also available for guests to discover the expansive property. Hilton is a leading global hospitality company, with a portfolio of 14 world-class brands comprising of more than 5,100 properties with nearly 838,000 rooms in 103 countries and territories. Hilton is dedicated to fulfilling its mission to be the world’s most hospitable company by delivering exceptional experiences. Some of the hotels that the Hilton Portfolio include are: Hilton Hotels & Resorts, Waldorf Astoria Hotels & Resorts, Conrad Hotels & Resorts, Canopy by Hilton, Curio Collection by Hilton, DoubleTree by Hilton, Tapestry Collection by Hilton, Embassy Suites by Hilton, Hilton Garden Inn, Hampton by Hilton, Tru by Hilton, Homewood Suites by Hilton, Home2 Suites by Hilton and Hilton Grand Vacations. At the end of the ceremony, all attendees were invited to the restaurant to enjoy tasty food and drinks. Mahogany Bay Village thanks, everyone who made the effort to attend the ceremony.